Coloring is about enjoying the present moment, without worrying about the future or the past. I would pick up a coloring pencil, test it out on scrap paper, and away I went. The pencil touched the paper at a slight angle as I carefully shaded within the lines. I would periodically put down my pencil, assess my work, and then continue where I had left off. It was like breathing life into something that formerly seemed still and lackluster. Drawing from scratch? Painting? Sure, I liked those as well. But there were some qualms that came along with those activities. Where was I supposed to begin? What if I messed up? My drawings never seemed perfect, no matter how often I used my eraser and tried again. 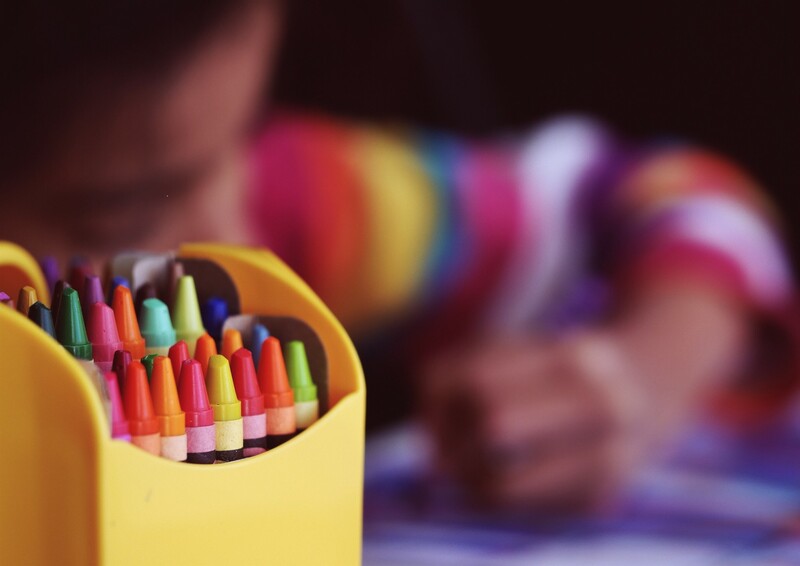 For kids, coloring is used to develop skills at an early age. The focus is on learning about our world, developing creativity, and fine-tuning motor skills. While adults also enjoy these benefits, there seems to be a bigger focus on stress relief. Coloring is used as therapy that people can indulge in to shed themselves of worries and anxieties (and it works). Coloring gives people an outlet for expression and creativity. A chance to step out of our environment and into another world. But consider what would happen if someone put a blank sheet of paper in front of you and asked you to draw a picture and color it in. You would have to think about what to draw, keep a steady hand, and get the picture just right. And that’s before you even get to the coloring stage. On the other hand, if someone were to put an illustration in front of you and tell you to start coloring it in, you’re able to focus on just one goal. The outline’s already been done for you. Now, you’re adding the finishing touches by enhancing the picture with colors. In coloring, like anything else you do, it’s good to pause once in a while. Put down your pencil, take a step back, and appreciate the progress you’ve done so far. And if you’re still skeptical, try it. The results might surprise you. Want to stay committed to your goals? Then check out my guide How to Get Anything You Want.